For Galit Zamler, a course that began as a volunteer position at one school has become a full-time job, with more and more schools picking up her program. In 2009, when Zamler’s third child was in Grade 6, his school principal wanted to have an after-school activity. She brought representatives of a company that was not only expensive to hire, but would only present to outstanding students, and required at least 20 of them. 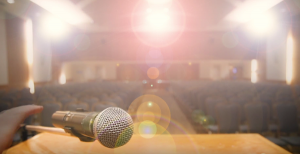 Seeing the value of educating kids about entrepreneurship, Zamler – who has an MBA and has co-founded two businesses – told the principal that she would do such a presentation at no charge, as long as her son could be one of the participants. A month later, Zamler was teaching her first group of 12 children. She knew she was onto something great after she had sent the students’ parents notes about what was being taught, and the parents responded with thank you letters. One of the first things Zamler teaches is that there are different kinds of entrepreneurs. It is not strictly about entrepreneurs of technology or inventions, and it is not just about opening a business. Students are taught that, to succeed, one must stand out from others – be creative and make their initiative unique. “Then, they raise ideas and learn that there are no bad ideas,” said Zamler. “Each idea can be good and that’s how we do it. Being critical will prevent others from raising ideas. It’s very important that the class be open-minded and let everyone, whatever their idea, say it aloud and learn to explain it. Sometimes, what they have in their head is not clear to the others. They learn to stand in front of the class and explain their ideas. “It’s not that every idea is great,” she clarified. “It’s just that we won’t criticize ideas. We ask questions to understand, and we discuss what difficulties we see in ideas – things like, how much it will cost, who will need it, to take a good look at it. Once all the ideas are shared with the class, students start to determine which ones they like the most and come up with business plans – tackling the process like a cake recipe, considering which ingredients they will need to bring their concepts to life. This includes the physical elements, as well as how to make their business unique, part of which involves seeking advice from experts in various fields to see if any changes might be needed. Only then do the students try to implement their project, which can sometimes be as simple as composing a letter to the municipality. 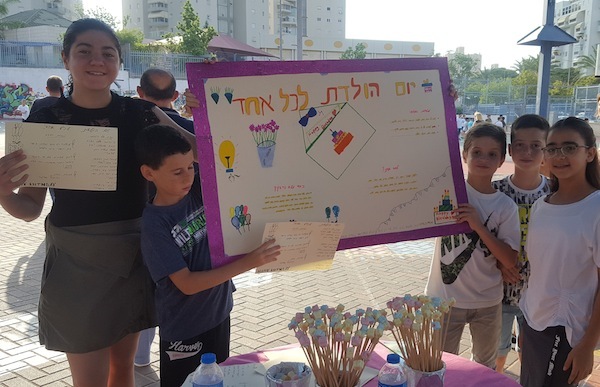 The curriculum is offered to grades 2 through 9 in Israel and it is funded in part by the government, as principals are allowed some leeway to allocate funds as they see fit within a list of external programs pre-approved by the Ministry of Education. Zamler – and other parents – consider the entrepreneurship course a great addition to what is being taught in school, as it will help in practically every aspect of life. “I think, sometimes, it’s the parents that bring the program to the schools, because they know that children learn something useful for life … not just the ordinary curriculum,” which includes things that may not “help them when they grow up, as things change so quickly,” said Zamler. Even armed with this entrepreneurial knowledge, Zamler acknowledged that the overwhelming majority of students – 90% to 95% – will end up as employees. But, she is hoping they will be leader employees. While Zamler has not yet conducted follow-up studies on the students who have taken the program, other countries are taking note and looking for ways to implement the program in their own schools. 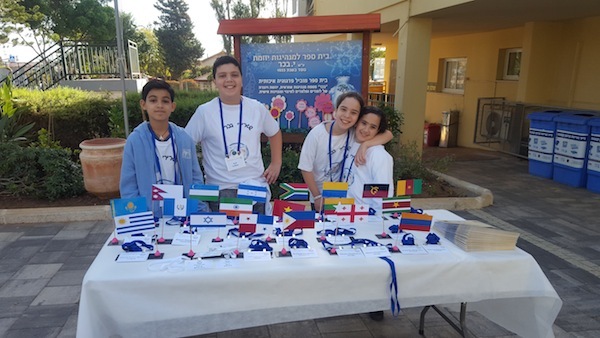 “The foreign office brings delegations to Israel twice a year and takes them to a school that educates for entrepreneurship,” said Zamler. “And what we see is that, instead of students who don’t like to go to school, we see students who are really enjoying their time in school, because they have choices. The Hebrew Academy in Miami Beach was the first school outside of Israel to implement the program. Also, a company from Hong Kong has purchased the licence to bring the program there. Zamler has created an online training program for both students and teachers wanting to bring entrepreneurship into their school. For more information, visit tomorrowsuccess.com. Jacobson graduated in 2008 with a degree in American history. That year, he also organized an event featuring Colin Powell as a speaker. With two powerful speakers behind him already, Jacobson went to work for the National Speakers Bureau. In 2014, he left the company and opened his own, then called Jeff Jacobson Agency. He said about 80% of his business comes from speakers. For Jacobson, being a modern company means that he and his employees aren’t at their small office 9 to 5 every day. Most of their internal communications and business with clients can be done online or over the phone. In addition to speakers, the agency handles entertainment, mostly bands, but other activities, as well. Companies will come to Talent Bureau, as the company is now called, when they want a celebrity to endorse their product or service, for example. Jacobson listed some of the speakers and organizations he has helped bring together. As word-of-mouth has spread about the good job they do, more and more exclusive speakers have been asking Talent Bureau to represent them. To learn more, visit talentbureau.com. Olga Livshin is a Vancouver freelance writer. She can be reached at [email protected]l.com. Israel’s best “natural resource” is its people. On July 16, at the Jewish Community Centre of Greater Vancouver, four speakers, representing diverse segments of Israeli society, gave TED Talk-style presentations before a sold-out crowd at the Jerusalem: City of Gold and Tech event. The common denominator of the speakers was their connection to Hebrew University of Jerusalem. Presented by Canadian Friends of Hebrew University (CFHU) in conjunction with the Jerusalem Foundation and the JCCGV, the evening presented the many ways in which Israel is using its human capital to leverage its place in the world and continue to be the innovative nation for which it has become renowned. Schillat’s optimism was shared by the second presenter, Maya Halevy, director of the Bloomfield Museum of Science in Jerusalem. Although her goal is to promote an interest in and love of science, her ultimate objective is to ensure that Israel has a workforce equipped for the future. She explained the programs in STEM (science, technology, engineering and math) that her museum provides to all segments of Jerusalem’s population. Halevy said that, while it is easier to attract ultra-Orthodox families to the museum, Arab families as a whole stay away but they send their children through school programs. Her message, similar to Schillat’s, was that Israel will thrive when all segments of the population are educated and have equal chances to be successful. Meanwhile, Yonatan Avraham is living his dream of becoming a physicist and an entrepreneur. He is an example of someone who is thriving because of the education he is receiving at Hebrew U. He is also the beneficiary of Toronto philanthropist Seymour Schulich’s scholarship program. Avraham expressed his gratitude regarding the place where he is studying. Helping smart people turn their ideas into companies that make money is how the final speaker of the night fit in. Tamir Huberman serves in several capacities at Yissum, Hebrew U’s technology transfer company. He works with researchers who are constantly asking the question, “How can I make this better?” What “this” is depends on the scientist, he said, but, with Israeli chutzpah, tachlis (getting to the point quickly), problem-solving ability and the pressure of existential threats fueling the process, Huberman explained that Israel is producing many great companies. Yissum is the exclusive owner of all intellectual property produced at Hebrew U and has created 120 spin-off companies since its creation in 1964. Profitable for the university, Yissum helps monetize the brain-power Halevy nurtures, Schillat influences and Avraham exemplifies. “I have always loved the thrill you feel while creating your own project, seeing it grow and being responsible for the outcomes – and the satisfaction you feel while convincing a stranger to give his or her resources (time or money) for your product,” said Yonatan Avraham, student ambassador of HUstart, Hebrew University of Jerusalem’s entrepreneurship centre, about what excites him about being an innovator and entrepreneur. Avraham is one of four speakers who will participate in Jerusalem of Gold: Capital of Innovation & Tech, which will take place on July 16 at the Jewish Community Centre of Greater Vancouver. The event is being hosted by Canadian Friends of the Hebrew University, the Jerusalem Foundation and JCCGV. Avraham will be joined by Lior Schillat of Jerusalem Institute for Policy Research; Maya Halevy of Bloomfield Science Museum Jerusalem; and Tamir Huberman of Yissum, HU’s technology transfer company. The Jewish Independent’s interviews with Schillat and Halevy appeared in last week’s issue (see jewishindependent.ca/jerusalem-a-high-tech-hub). “All of the speakers are coming from Israel especially for this tour in Western Canada. We will be in Vancouver on July 16, Calgary on July 17 and Edmonton on July 18,” said Dina Wachtel, Western region executive director of CFHU, of the tour, which celebrates the 50th anniversary of the reunification of Jerusalem. Huberman is Yissum’s vice-president of business development and director of information technology. At the JCCGV, he will talk on Marketing Innovation: Changing Israel and the World. In the press material, Huberman notes, “As the only university in Israel with a school of agriculture, research in non-GMO hybrid seeds at Hebrew U is changing the way millions of people eat now and into the future.” He also notes that Mobileye, which recently sold to Intel for $15.3 billion US, was founded by HU Prof. Amnon Shashua. 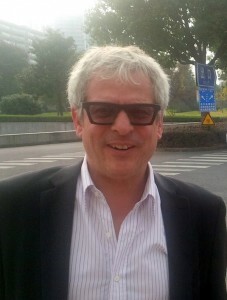 It was his “strong passion for new patents and ideas that was the top reason for joining Yissum,” he said. “Second was the opportunity to work with some of the most brilliant researchers in their fields. Third was my realization that there was something missing at the time before I joined Yissum, which had to do with the very low use of the internet in order to expose the technologies from the universities to the world. He added, “I believe that there is a lot that can be done to make a better and faster connection between companies seeking talent or innovation to the offerings of universities…. [B]uilding a portal that connects more universities in Israel and the world could help make that matching much more efficient. Avraham has other ideas, such as one for an “infant sleeper that monitors a baby’s vital signs, a technology that could potentially prevent SIDS.” And he and his wife – who is an archeologist – also run a tutoring business. In Vancouver, he will speak on The Making of a Serial Entrepreneur. Jerusalem of Gold: Capital of Innovation & Tech is open to the public. Tickets are $45, though students who register at the CFHU office can receive a free ticket. For tickets and the speakers’ bios, visit cfhu.org, email [email protected] or call 604-257-5133. Some 15,000 entrepreneurs gathered in Chicago July 26-29 for the Sage Summit, to hear keynote speakers, network and browse the exhibitors’ stations, which spanned the length of 10 football fields, according to Sage chief executive officer Stephen Kelly, who oversees the accounting software giant. Celebrity speakers included entrepreneurs and actors Gwyneth Paltrow, Zooey Deschanel and Ashton Kutcher, all of whom have Jewish connections. “The more you create a vision of where you’re going, the more you can create a vertical. Where do you want it to be, where do you imagine it to be, and ask people ‘where do you want it to go?’ – that’s how you form an execution strategy,” she advised entrepreneurs at the Chicago gathering. She also offered a morale boost for budding entrepreneurs. “Unwavering self-belief is everything. Everyone’s going to tell you why you can’t do it, and you have to know in your bones that you can do it … and take disappointments with as much grace as you can,” said the actress, whose late father, film director Bruce Paltrow, was Jewish. Paltrow’s co-panelist, Deschanel of television’s New Girl, is founder of the website Hello Giggles, an online magazine for young women launched five years ago and acquired by Time Inc. in 2015. She has also invested in a hydroponics company that grows sustainable and eco-friendly organic food. “Trust your gut and be yourself – and watch your bottom line. Customers will thank you for that,” said Deschanel, who converted to Judaism last November. Chiming in about knowing one’s limits – and about social media engagement – was Kutcher, who has invested in high-tech ventures including Skype, FourSquare and Airbnb. “I learned by sitting in the rooms being the dumbest person in there and asking a lot of questions,” he said. Kutcher last year married Jewish actress Mila Kunis. 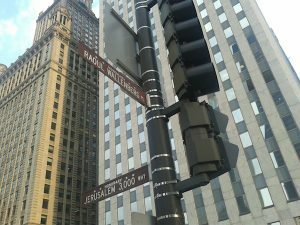 He has been a student of kabbalah and has visited Israel several times. But, he noted, there’s a critical caveat regarding marketers. Kutcher cautioned against having fingers in several social media platforms, noting it’s more about quality than quantity. Twitter, Instagram and Facebook already have “huge swaths of people and have really great tools for targeting,” he added. 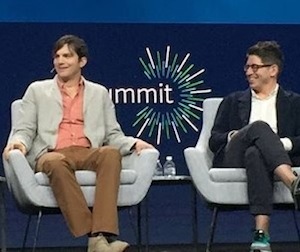 Co-panelist Yancey Strickler, one of the three founders of Kickstarter, which he described as “the world’s largest funding platform for creative projects,” has also been the crowdfunding site’s CEO for the past three years. Despite Kickstarter’s online base, Strickler had his own warning about social media. “I’m worried about my brain now,” Kutcher retorted. Dave Gordon is a Toronto-based freelance writer whose work has appeared in more than a hundred publications around the world. He is the managing editor of landmarkreport.com. In August, the Jewish Independent connected with Gary Brownstone about a Winnipeg tech incubator he was working on called Eureka. In the short time since then, the entrepreneur has already moved on to his next adventure. “Most of my career has been characterized by taking on multiyear projects,” said Brownstone. “In many cases, I’d be involved with or invest in small companies needing help growing to the next level. I’d grow them to the next level and then I would exit. But, generally, the projects I get involved in have a Point A and a Point B, and my mission is to take them from A to B.
Brownstone was brought onto the Eureka team to try to save it. They needed answers to three questions. Was there enough world-class talent in Winnipeg to make a venture like this worthwhile? Could the incubator help advance their causes and spin off commercial enterprises? And could Brownstone help make the operation sustainable? “A big challenge with incubation is that early- stage companies can’t always afford to pay market rates for help, but governments don’t want to pick up the costs forever,” said Brownstone. “When I got to the project, the Manitoba government was covering about 90% of the operating budget. Seeing that a service like the one he was providing in Manitoba was needed everywhere in Canada, Brownstone move on to create a small practice under the name of LucraTech. He soon had several clients across Canada, the largest one situated in Vancouver, where he now spends about 60% of his time. The other clients are located in Manitoba, Ontario and Nova Scotia. The Vancouver-based company with which Brownstone is working is Canada’s largest technology incubation platform, Istuary Innovation Group. “This is a group of Chinese Canadians who see an opportunity to invest in or acquire Canadian technology for which there could be a market in China,” said Brownstone. “Their expertise is taking Canadian-developed world-class technology into China, where there’s a big market and hunger for this technology … so, these guys are trying to bridge the gap. According to Brownstone, any Canadian technology looking for a home in the Chinese market can likely be aided by Istuary. He believes that Canada is in a unique position and has an advantage over other countries, due to the quality of its schools for engineering, computer programming and related fields, like clean technology and light sciences. “There is also very strong R&D support in Canada, both federally and provincially,” said Brownstone. “The government will often match every dollar I invest. There is also a very strong tax-credit program, [and] rebates offered will sometimes offset the big costs of R&D.” As well, he added, Canada is an attractive place for developing technology at the moment with the low Canadian dollar compared to that of the United States. LucraTech aims to take on a series of projects with each client and create a support team to work with that client, beginning by identifying a starting point and an end point. “Typically, the companies we start working with are small,” said Brownstone. “They have some customers, they have some revenue, but they are trying to grow to the next level. Maybe you have a company that is doing $300,000 a year in revenue and you want to grow that to $3 million in the next couple of years. We create a road map and a plan that will get you from $300,000 to $3 million, and work with you to achieve that. LucraTech offers other services, as well, such as turnaround, wherein they take on medium-sized companies that, for one reason or another, have encountered some trouble and need help. In this scenario, LucraTech goes in and tries to fix the problem and make the company healthy again. Their typical timeline with clients can be anywhere from one to four years. “If we believe in a company and the entrepreneur and we can add value to the whole equation, we are very flexible on how we work with companies and usually give them two or three choices. We know we will only get paid if the project goes ahead,” said Brownstone. Digital Shmita is one of four projects that received 2015 Natan Grants for ROI Entrepreneurs. A digital Shmita project, Israel’s version of the radio show This American Life, a global initiative promoting tourism to Jewish communities and a foundation supporting Israel Defence Forces soldiers who served in the Yahalom unit were all awarded 2015 Natan Grants for ROI Entrepreneurs. In late January, the Natan Fund, a giving circle for young professionals, issued its third annual round of dedicated grants for ROI Entrepreneurs, totaling $40,000, to four ROI (“return on investment”) Community members from the United States, Israel and Latin America. These grants will kickstart projects that invite young Jews and the broader community to explore and experience diverse and creative ways of bringing Jewish values and culture into their lives. Digital Shmita (Israel): Digital Shmita is taking the idea of Shmita (Fallow) to the internet. Digital Shmita works in collaboration with Labshul’s FallowLab and the Print Screen Festival for digital culture in Israel. Its ultimate goal is to produce free solutions that will allow everyone to experience Shmita in their daily connected lives. fallowlab.com/digitalshmita. Israel Story/Sippur Israeli (United States and Israel): Israel Story is a new radio program dedicated to telling the story of a different, diverse Israel. Modeled after National Public Radio’s This American Life, this show seeks to portray the intricacies of Israeli society and showcase its plurality. It seeks to amplify and humanize voices that are rarely heard on the airwaves; to tell long-form, non-fiction tales by, and about, regular Israelis. israelstory.org. Judaic Tourism (Latin America): Judaic Tourism is a project that works to strengthen Jewish identity through the preservation and enhancement of Jewish heritage. It connects people with history, culture and Jewish life in cities around the world, promoting tourism to Jewish sites and communities and connecting visitors to local Jewish culture. turismojudaico.com. Yahalom Foundation (Israel): The Yahalom Foundation will be the first nonprofit organization benefiting current and former soldiers of Yahalom, a special forces combat engineering unit in the IDF. The foundation is dedicated to supporting Yahalom commandos during their active-duty service and afterwards, during their reserve duty. amplifiergiving.org/organization/131/yahalom-foundation. The work of these ROI activists and entrepreneurs dovetails with the Natan Fund’s mission (natan.org) to provide early-stage funding for creative approaches that seek to address some of the central challenges facing the Jewish people and Israel. Among Natan’s goals is to create new access points to Jewish life, especially for younger Jews who are less engaged with existing communal organizations. Its members pool their charitable contributions, set the philanthropic strategy and agenda for the foundation, and allocate funds to organizations that are building new visions for the Jewish people and the state of Israel. Founded in 2006, ROI Community (roicommunity.org) is part of the Charles and Lynn Schusterman Family Foundation, a global organization that encourages young people to create positive change for themselves, the Jewish community and the broader world. ROI Community members channel a diversity of perspectives, skills and interests toward a shared passion for advancing ideas and partnerships that will strengthen Jewish communities and improve society.